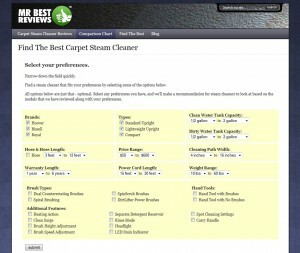 We’ve recently added a new features to our carpet steam cleaner site. It’s a product finder, to help you narrow down the field based on the preferences you have for a carpet cleaning machine. You can select as many options as you like and then search the database for a recommendation.